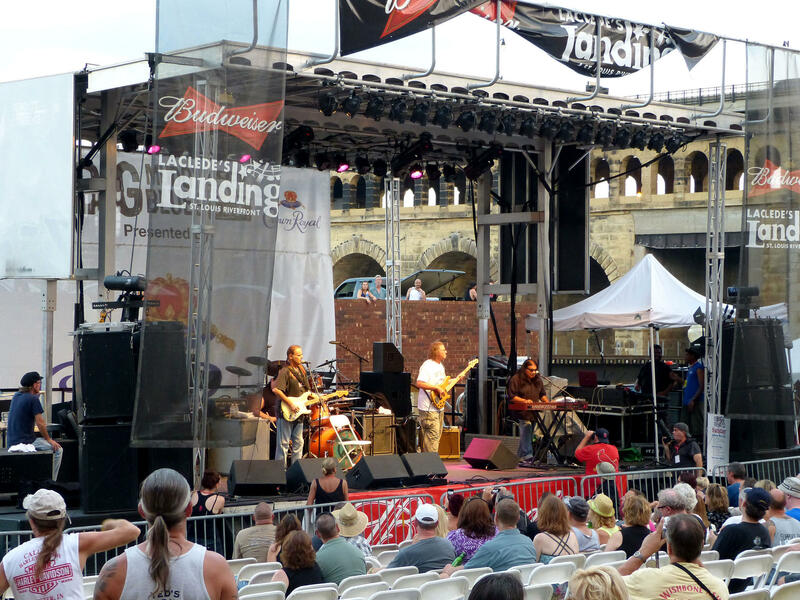 Walter Trout plays at the main stage of the Big Muddy Blues Festival in St. Louis on Sept. 1, 2013. Finding that many local acts wasn’t a challenge either. “The list of people not playing the festival is longer than the list of people who are,” said Segel-Moss. Joining Segel-Moss was Alonzo Townsend, the festival’s emcee, and Frank Bauer, a saxophonist with the Jeremiah Johnson Band, who’s performing in the festival. To hear more about the festival including stories about Alonzo Townsend’s father, the legendary blues musician Henry Townsend, listen to the audio. St. Louis on the Air contributor Steve Potter talked with Jeremy Segel-Moss, Alonzo Townsend and Frank Bauer about the 22nd annual Big Muddy Blues Festival. For more information about the festival, visit here.